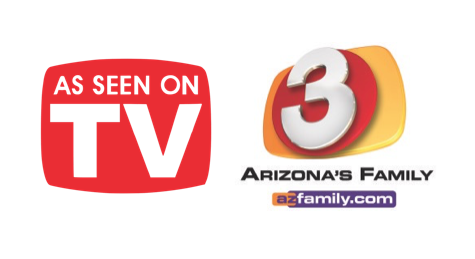 QUEEN, MAKE MY HOUSE SMELL GOOD AND CLEAN!- As seen on 3TV/Phoenix, AZ – Good Morning Arizona – Monday, April 15, 2019 – 8:40am and Saturday, April 20, 2019 (6:40am and 9:50am). 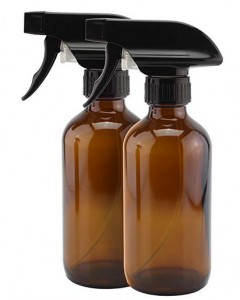 You can also combine in a sealed container and add to sprayers of any size as needed. 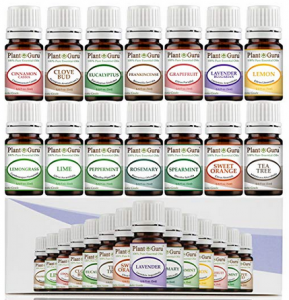 *You can use inexpensive essential oils for this purpose since you are not using them medicinally. 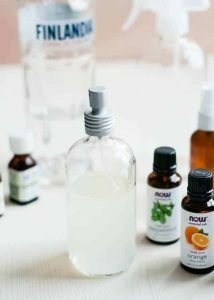 **The vodka or alcohol in the recipe helps the essential oils and water to mix more thoroughly, and helps the homemade air freshener to dry faster as it is sprayed. General procedure: Combine your selection of the numbered ingredients below in a 2 cup (pint) jar and cover with water and store in the refrigerator or combine in a pan on the stove top. Cover them with water and heat immediately. You can also create your own scent jars based on your preferences. The ones I have listed are only suggestions. 1: Oranges, cinnamon & cloves This scent carries into multiple rooms well, and it can be reheated to scent your rooms for several days. 2: Lemon, rosemary, & vanilla. This one mimics the scented water often simmering in Williams-Sonoma stores. It has a lovely freshness to it. 3: Lime, Bay leaf or mint & almond or vanilla extract. This combination has such a fresh, pleasant scent. It’s subtle. 4: Orange, ginger (fresh or powdered), and almond extract. This is a sweet, delicious scent. 5: For the Holiday Season. Pine or cedar twigs (or other fragrant twigs), bay leaves, and nutmeg. These scents combine for a complex aroma. Store in the fridge. Unheated jars of scented waters will keep in the fridge for 1 to 2 weeks, so you can make these ahead to have on hand. 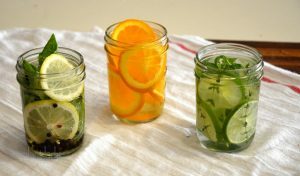 I recommend adding all of the ingredients, including the water, to the jars before refrigerating them They last longer. Freeze them. I’ve tried freezing them both with and without the water added, and both ways work fine. These will last in freezer for a month or more. Be sure you use Freezer safe containers. Save fruit you have used for other purposes. Lemons you have zested, peels from eaten fruit etc. Save left over herbs etc. too. The water won’t be as pretty but it will smell wonderful. Stove top method. Combine the ingredients in a pot on the stove, bring them to a boil, and then lower the heat to a simmer. 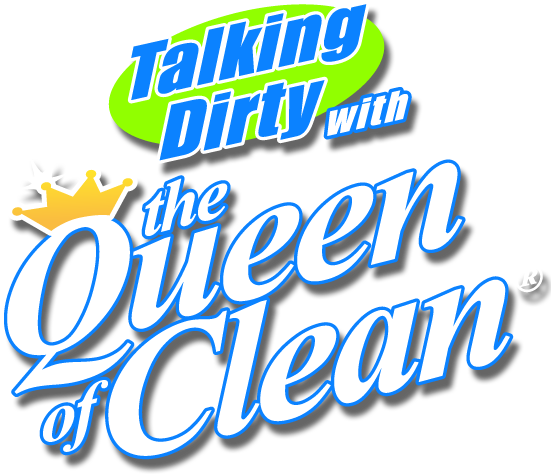 They will immediately begin to scent your kitchen and spread to other rooms. The only drawback of this method is that you have to keep a close eye on the water level. If the pan dries out, you’ll be smelling burned citrus instead of sweet, fragrant citrus. I set a timer to remind myself to turn it off. Leave it on the burner and it will continue to give off its wonderful smell. Uncovered Slow Cooker Method. I use a mini slow cooker, the kind made for keeping dips and sauces warm, set on low. 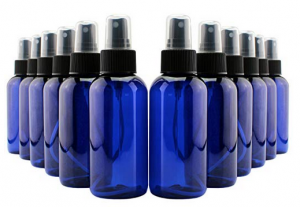 Leave it uncovered on the kitchen counter to slowly release scent throughout the day. It’s subtle, but creates a pleasant smell in the kitchen and a hint of scent in surrounding rooms.. I put a scented jar mixture in the microwave for 2 minutes to get it really hot before I add it to the slow cooker. That gives it a jump start on releasing the scent. Candle Warmer Containers. Heat the mixture in the microwave until not and then put in the candle warmer. The Pomander works as a natural air freshener and a moth repellent. You can hang them up on display, or use them in your wardrobes and drawers. The procedure is simple and the smell is awesome! Take an orange, and push cloves into it. The more you use the stronger the smell. You can hang it up by pushing a hook into the top of the orange and adding a ribbon if you want. I prefer to sit it in an appropriate size bowl. Fill an attractive glass or metal container with whole coffee beans and then work tea light candles down into the beans so that the wax top and wick are exposed. Light the candles and as they heat up the house will be scented with the lovely aroma of coffee. This is a great use for expired beans, coffee you didn’t like or $$$ Store finds.